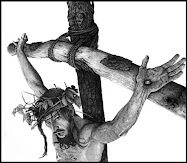 Below is another version of the outward form of Jesus. Merely darkening His disposition makes Him look more "Middle Eastern" (in the since that Westerners typically think). But it MAY be wrong to apply this look to Jesus. 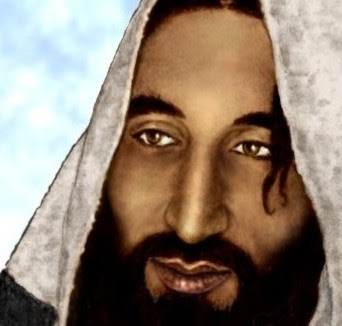 There is a basis for giving Jesus an appearance more like the first one. And it is not solely a visual interpretation of scripture (SEE BELOW FOR DETAILS). But we are not certain about these things. So, the one in this post could just as well represent the Messiah. 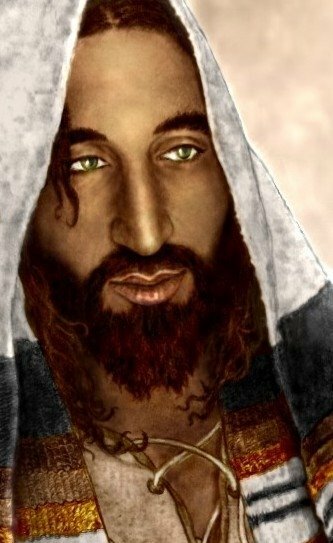 Those that truly accept Him should not care about the amount of skin pigment He had, or did not have, when He walked among us. I plan to post the pencil drawing of this picture - so you can see what it looks like before I painted it. In addition, I may put up some progress images of the piece and give a few details about the art process.